Piccolina Designs: Lions and Tigers and Bears, Oh My! 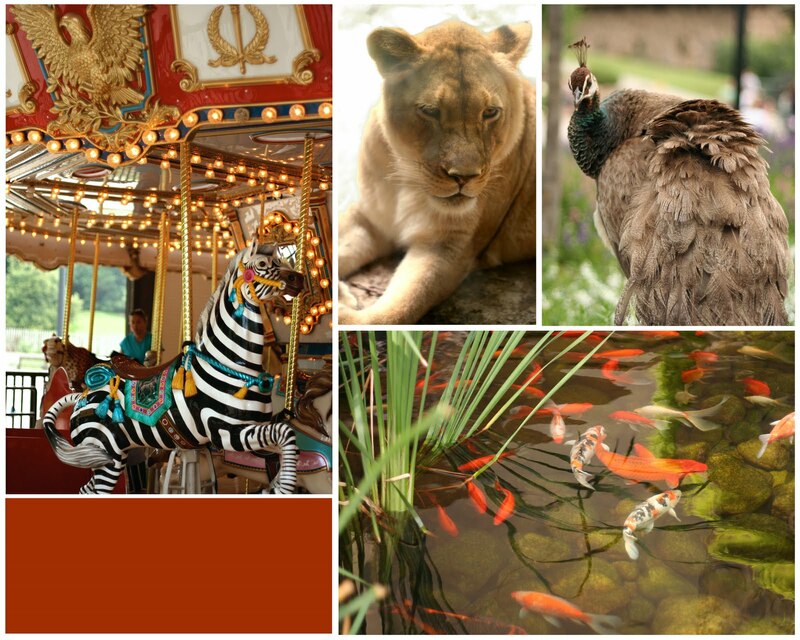 1) Animal Carousel. Unfortunately the Giraffe and Tiger do not move up and down. 2) Face to face with a lion! 3) A Peahen preening her feathers, to impress the eligible bachelors. 4) Don't be Koi with Me Pond. *Orangutans are among the most intelligent of apes. The zoo had a orangutan who not only created a tool to pick the locks of their exhibit (to go galavanting around at night! ), but cleverly hid this tool in his jawline to conceal it from the zookeepers! *Like human fingerprints, zebra stripes are unique to each zebra. *Only the male of the species is called a Peacock. 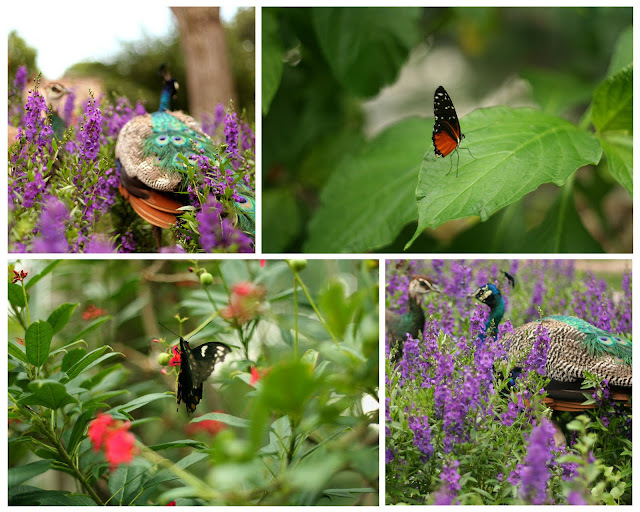 1) I just couldn't resist photographing the peafowl in the flowers. 2 & 3) In the Butterfly & Insect Pavilion, you get to walk among the butterflies. look at your PHOTOGRAPHS!!! I need to check your blog more often! GREAT WORK girl. what miracles are around us all the time. Mia is a wife, mother, designer and dreamer who recently took the plunge into country living.